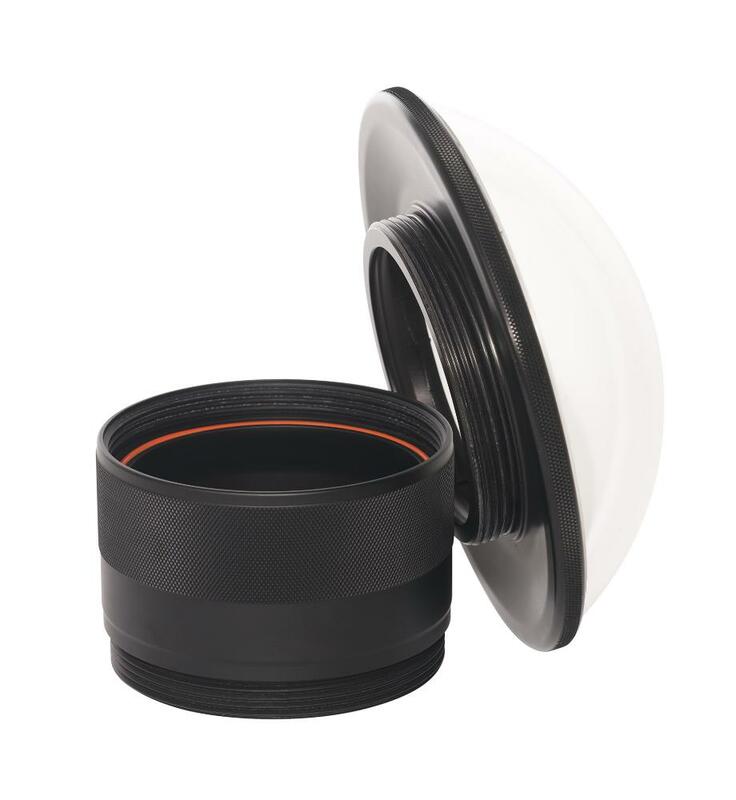 The PD-135 Underwater Lens Port houses a lens (find out which lenses from this official AquaTech Housing and Lens Port Compatibility Chart) and then connects to an Elite or Delphin camera housing unit (not included) so that you can shoot underwater. Tools are not required for mounting a lens port to a housing unit and they are mechanically-sealed (no adhesives used). These optically-correct molded ports allow you to capture stunning imagery below water surfaces and are ideal for surf shooting, underwater portrait/fashion photography, and snorkeling. Learn more about AquaTech's line of underwater housing units, ports, zoom gears, and more for rent here: Underwater Housings for Cameras, Lenses, and Flashes: Ultimate AquaTech Guide. • To find out exactly what lens, zoom gear, and/or extension ring is compatible with this lens port, see this official AquaTech Housing and Lens Port Compatibility Chart.